As you may have noticed, construction is underway on the 24/7 bus lanes on Douglas Street and on parts of Highway 1. 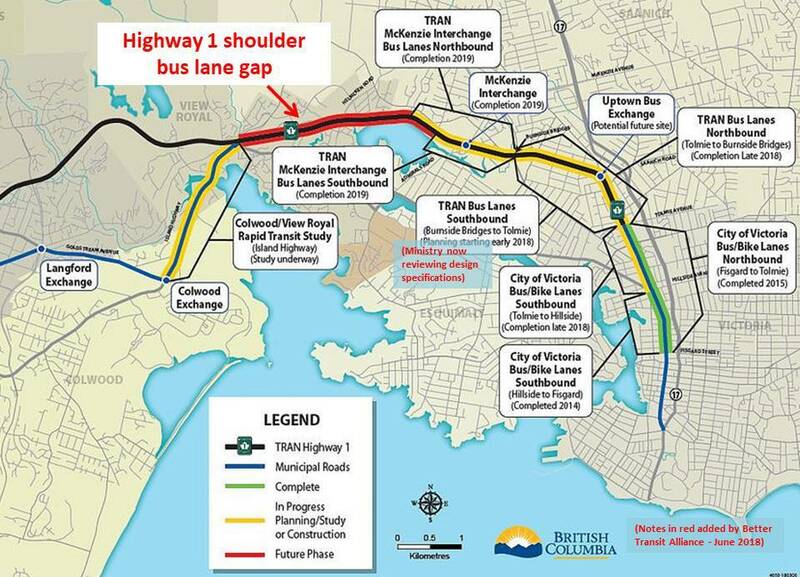 In addition the Ministry of Transportation and Infrastructure is reviewing design specifications for the southbound Highway 1 shoulder bus lane from the Burnside Bridge to Tolmie. Given this progress, we expect that the provincial government will soon announce funding to fill in the gap, and complete the bus lanes all the way to the 6-Mile Pub (See Map Below). This project could be completed quickly and for a very reasonable cost, once the funding is approved. 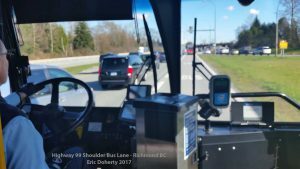 It is time to get the Highway 1 bus lanes built, and then start on the Pat Bay Highway bus lanes. • Thank them for getting the Douglas / Highway 1 bus lanes underway and approving a two cent per litre increase in the tax on gasoline in February to raise about $7 million per year for better transit in Greater Victoria. • Urge them to move immediately to fill in the gap, and complete the Highway 1 shoulder bus lanes all the way to the 6-Mile Pub area. • Tell them why better public transit is important to you, and urge them to make better public transit an even higher budget priority. 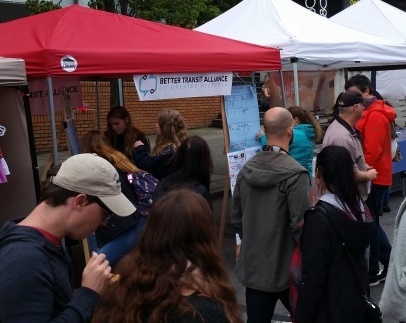 The Central Saanich Community Association is working with the Better Transit Alliance to get better transit in their area, and across the region. 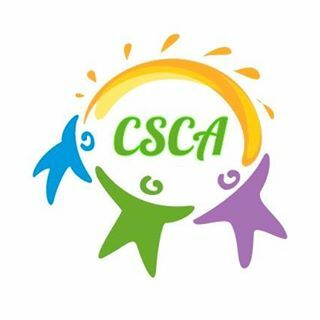 The CSCA has recently formed a Transit Committee, and is looking for more committee members. If you are interested in helping to get better transit service on the Saanich Peninsula, please email Sue Stroud at sue_stroud [at] hotmail.com. Better Transit Alliance members have been keeping transit in the news, largely by writing letters to the editor. Please consider the information in this newsletter and take a few minutes to write your own letter to the editor of the TC or your local paper. Recent articles you might want to respond to include ones in the Victoria News and Times Colonist regarding bus lanes.